Prague Airport Transport offers on-demand transfer services for both individuals and groups from Prague to Warsaw by taxi. Our services are available to those travelling between Prague Airport or Prague City Centre and Warsaw (both ways). Transport between Prague and Warsaw does not take any longer than flying between Warsaw and Prague. Our transfers are also much more comfortable than travelling by train or coach. You can tell the driver to stop for a rest whenever you want. The prices we offer are all inclusive with taxes, VAT, tall charges and waiting charges. Your transfer can be customized according to your likings, such as visit of a popular place en route or a stopover for lunch. Need a low cost taxi from Warsaw to Prague Airport or a Warsaw to Prague taxi? 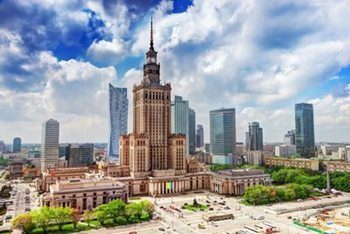 Price for private taxi transfer from Prague to Warsaw is fixed with no additional cost, no hidden extras, and cheaper than a normal taxi from Warsaw to Prague airport. Prices are quoted per vehicle. Modification and Cancellation of the service with no charge. Warsaw is a rapidly-developing city in Central Europe, and is attracting more and more foreign visitors. If you ever visit the Polish capital, we have selected some interestig facts for you. Warsaw Old Town, rebuilt after World War II based on paintings from the 17th-18th centuries, is protected by UNESCO and is a perfect example of restoration of cultural heritage. 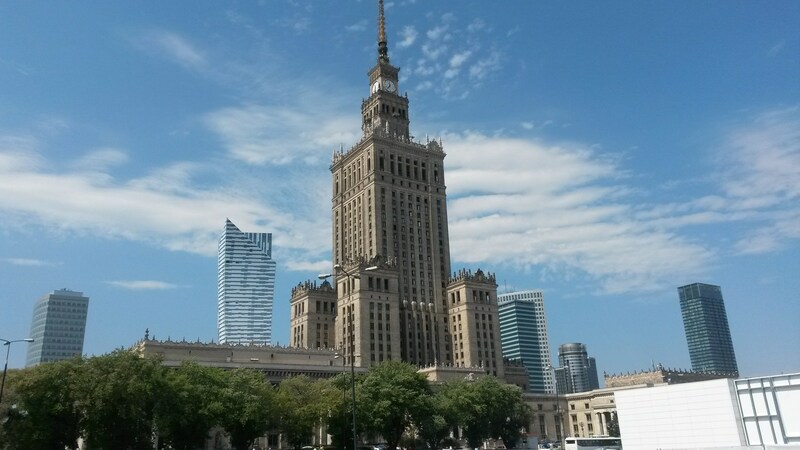 The Palace of Culture and Science in Warsaw was a gift of the Soviet dictator Stalin to the Polish nation. At 237 metres tall, it’s the tallest building in Poland, and at 165 metres, the clock tower is considered to be the tallest in Europe. The oldest evidence of cheese production was found in the vicinity of Warsaw, apparently being produced here around 7,500-8,000 years ago. Warsaw’s Lazienki Park is one of the largest palace and park ensembles in Europe, and hosts free Sunday concerts from May to October. Poland’s longest bridge is the Siekierkowski Bridge over the Vistula River. It is 826 metres long. And obviously, one of the most famous citizens of Warsaw FRYDERYK CHOPIN.